Play Duck Hunt with Google Glass #WearableWednesday « Adafruit Industries – Makers, hackers, artists, designers and engineers! 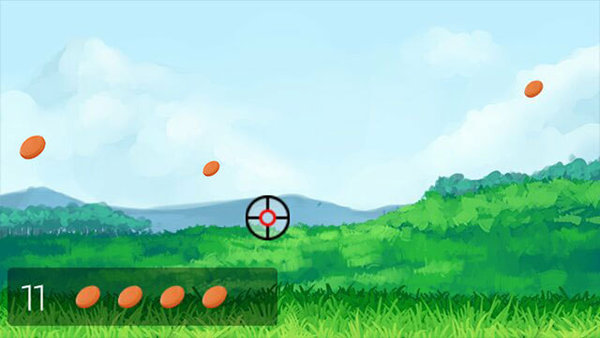 Two mobile developers have created “Glass Hunt,” a “Duck Hunt”-style shooter game for Google Glass that shows the high-tech eyewear’s potential as a gaming platform. Google has been selling the device to selected users and is expected to release Glass to the general public next year. Like other devices, Glass runs apps, called Glassware, that users can install on their devices. “Glass Hunt” is one of the first games to arrive on the platform and it could prove popular thanks to its simplicity and the fact that it’s inspired by and is similar to “Duck Hunt,” an ’80s classic for the Nintendo Entertainment System. The game was released this weekend and is available to download for free online. To play, Glass users say “OK Glass. Go Hunting” and the device will launch the game. Users then see a cartoon field and target discs that fly around. To shoot, users move their heads to line up the cross hairs. The point of the game is to hit as many targets as possible before missing five, but as the game goes on, the targets move faster. The current record appears to be 127. But users who will want to try to beat that mark may not want to play the game in public. Android Central has a GIF showing what users look like playing “Glass Hunt,” and it’s not pretty.